The Muppets Take Manhattan marked a coming together for the Henson team on their home turf in New York after work had taken many of them to far flung locations. The Muppet work in London was pretty much finished following the end of The Muppet Show production and the release of The Great Muppet Caper, however, the Creature Shop was officially launched in London that summer, formalizing what had started with The Dark Crystal. Production on Fraggle Rock was in full swing in Toronto, with many staffers and performers based there and returning there in September. For the summer, however, they were on hiatus and all came together in New York to make Jim’s third Muppet feature. 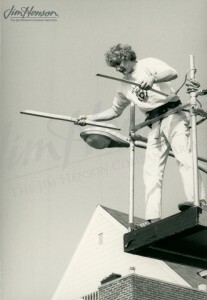 This included Jim’s son Brian whose interest in mechanics and effects made him a perfect apprentice to Faz Fazakas, leader of this area and developer of much of the technology used in The Dark Crystal and Fraggle Rock. 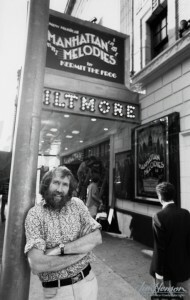 Learn more about Jim’s experience with The Muppets Take Manhattan and Brian Henson’s path following the film. 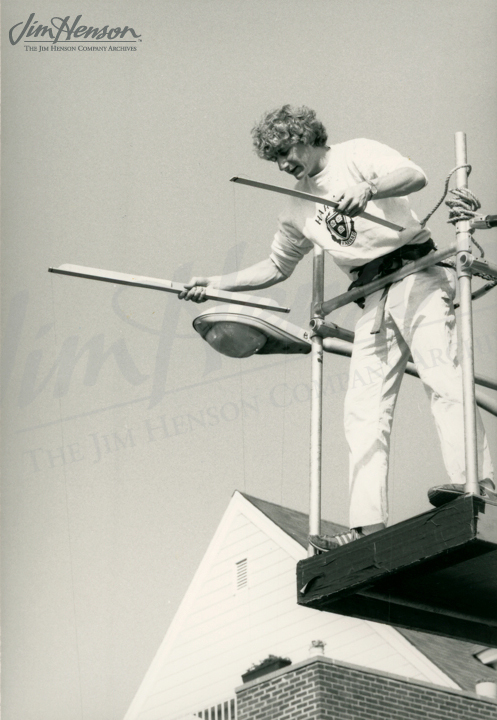 Jim on location in New York City during the shoot for The Muppets Take Manhattan, 1983. 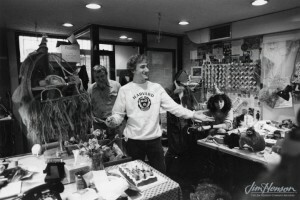 Brian Henson marionetting Scooter on a bicycle for The Muppets Take Manhattan, 1983. Photo by Kerry Hayes. Brian Henson celebrating his birthday in the Fraggle workshop with Faz Fazakas behind him, November 1983. 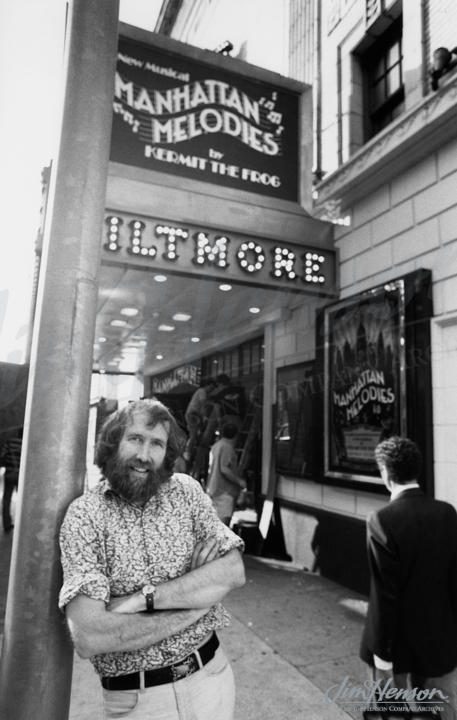 This entry was posted in 05-May '83, 1983, Muppets Take Manhattan and tagged Brian Henson, Faz Fazakas, Fraggle Rock, The Dark Crystal, The Great Muppet Caper, The Muppet Show. Bookmark the permalink.